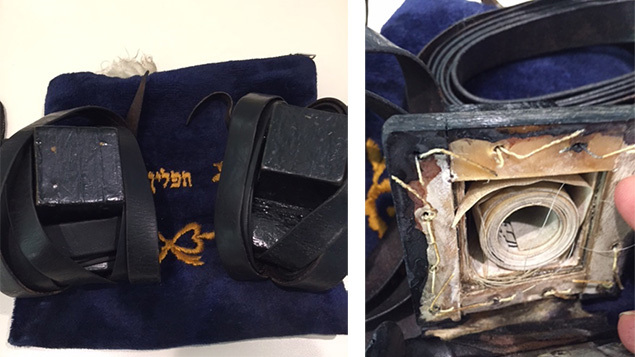 The tefillin are 89 years old, but no one looking at them could know their history, where they had been, or what their owner had had endured while he was a prisoner during World War II. Menachem Zev Ben Chaim was born in Nyirbator, a tiny town outside Budapest, June 12, 1915. He was the oldest of 11 children born to a chassidish family. All 11 of them went to cheder (religious school) before attending secular school. As a child, Menachem was very thin — but he was strong. His hair was thick and wavy, and by the time he reached his late teens he had a thick mustache. He was charming young man with a pleasant personality; many people considered him to be to be a practical joker. When I look at pictures of him, I think he looked like Clark Gable from “Gone With The Wind” — a handsome man with slicked-back hair, a trim mustache, smooth skin, and piercing eyes. Menachem’s parents were followers of the Kalivah rebbe and one of his brothers became the rebbe’s hoeiz bocher — his house boy — charged with attending to his every need, arranging appointments, getting meals, and accompanying him wherever he went. Menachem received his tefillin from his parents; they were written by a Kalivah scribe. The Kalivah dynasty exists today in Jerusalem with tens of thousands of followers. I had the distinct honor and privilege to have a private meeting with the grand rabbi several years ago; we spoke in Yiddish and Hungarian. Once, Menachem’s parents were wealthy; they owned real estate and hired Gypsies to help around the house. When he was a teenager, though, the family fell on hard times. Their wealth evaporated. Menachem showed tremendous respect toward his parents and siblings. As a young man he understood that finances were tight at home, so he found a job in a bakery making matzah. Although he worked 10- to 12-hour days, he made time to put on tefillin and thank God for all his blessings. Menachem earned enough money to buy hand baked matzah for the entire family for Passover. That cost his entire salary, but he had no regrets. Menachem was inducted into military service in 1941, not as a soldier but rather as an assistant assigned to a high-ranking officer, who was in charge of a large division. The Hungarian government mandated all young men to serve in some capacity. During the earlier years there had been no overt signs of hatred toward Jews, but that changed very rapidly. As life grew worse for the Jews throughout Europe in1943, and as Hitler gained more power and started rounding up Jews in Poland and elsewhere, the treatment of non-commissioned Jewish soldiers started to deteriorate. The commander, who liked Menachem, allowed him to keep his tefillin, inside their little zippered blue bag, which he kept in his deep-pocketed coat. 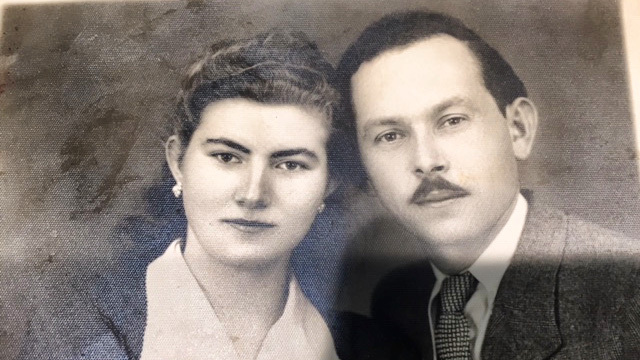 As World War II spread throughout Europe and the Hungarian Jews were rounded up by force and taken to camps, Menachem became a prisoner of war, held by the Hungarian and German armies somewhere on the Russian border. He had a very powerful voice, so the commander demanded that he sing Hungarian songs to several hundred soldiers whenever they were at the main army base, far from the front line. In return for singing songs, Menachem received extra food and was permitted to keep his tefillin. Throughout the bitter cold days and nights he spent near the Russian border, Menachem often would touch and hold the tefillin, and that gave him comfort. As the war in Europe got worse, Menachem, who was with a small group of Jewish prisoners, had to dig ditches by the front line while bullets whizzed by them. Hungarian soldiers thought that Jews were dispensable. If a few of them were killed digging trenches, that wasn’t a big deal. Menachem told me that it was so cold in Russia that many of his fellow prisoners froze to death. It was normal and common for the prisoners to swap clothing and shoes with the dead prisoners, if their clothing or shoes had been better. Sadly, since the ground was so rock solid, always covered with thick ice and snow, none of the Jewish prisoners were buried properly. One bone-chilling night, a friend of Menachem’s died peacefully in the front lines, frozen to death. Menachem exchanged his old ragged coat with his friend’s. The new coat was black and long enough to cover more of Menachem’s legs, which were always cold. The new coat also had bigger pockets, and he put his tefillin in one of them. Menachem was very concerned he might not make it through the war. He was becoming thinner and thinner as the weeks and months passed. Jewish prisoners all around him were dying from frostbite or bullets from the Russian soldiers. They constantly were being pushed to different locations, with very little rest. He didn’t know how long he could endure it. One night, the entire group of soldiers and Jewish prisoners stopped in a remote Russian farm — a field, a house, and a barn. The soldiers slept in the warm house, while the Jews were sent to the unheated barn. There were pigs and horses all around them. That was the night when Menachem held onto his tefillin tightly and asked Hashem (G-d) to please watch over him as he tried to escape. Menachem had enough. He was going to take a chance and risk his life. If he succeeded, he would finally be free. When one of the guards was distracted and looked away, Menachem ran across a snow-covered field. The soldier screamed “Stop! Stop!” but he kept on running. He was wearing his long black coat. Several gunshots rang out, and one bullet his Menachem’s right leg. (After all, he was after all an easy target, wearing a black coat and running across a snow-covered field.) Menachem ran a few yards after he was hit, and then he collapsed into the snow. The soldiers picked Menachem up and dropped him in a small indentation in the ground, used to collect water. They did that just to torture him. They did it several times before they put him on a truck headed back to a field hospital, which was 10 miles from the front lines. Menachem was in pain. But he clutched his pocket, where his tefillin were. When he got to the hospital, a group of soldiers took him inside. They took off his coat and set it aside, and then they dropped him into a stainless steel drum full of ice cold water. They kept laughing and making jokes. Then a doctor — who was a commissioned officer — walked into the operating room, told the soldiers to put Menachem on the table, and immediately ordered everyone out of the room. What happens next is nothing but the hand of G-d, another miracle. Menachem was all stretched out on the table, sopping wet, under blinding lights. He was thinking, “I’ve been shot. I’ve been tortured twice this evening. What else can Hashem want from me?” As he stared into the doctor’s eyes, the doctor leaned over Menachem and whispered in his ear. “I am a Jew. I never had a bris. I will take care of you.” Menachem was in total shock. He was speechless. The doctor removed the bullet, stitched Menachem up, and said, “You are super thin. I’m going to order that they put you in the kitchen to work, and you must eat everything you can lay your hands on so that you can fatten yourself up.” This was music to Menachem’s ears. There was very little food on the front lines. Menachem did what the doctor told him to do, and the new doctor in charge of the hospital said, “You are not ready to go back to the front.” Several weeks later, word spread within the hospital that the Russians had killed all the soldiers and prisoners on the front lines. Everyone in the hospital and on the base was convinced that was just a question of time before they would be surrounded. The war was almost over, they believed. Years later, Menachem told me, “I bet you never heard of anyone’s life being saved by a bullet.” His was. Some time later, all the prisoners at the remote base in Russia where Menachem was held were told to leave. “You are free to go,” they were told. The soldiers holding them were totally surrounded. Menachem stuffed some food in one pocket of his black coat. The tefillin were safe in his other pocket. As he and his companions scrambled to leave, Menachem and two other prisoners remembered that there were mountains and forests at some distance from the camp. They thought it would be a safe place to hide. As the three men walked they heard bombs landing, and fierce fighting in the distance. They walked for a few hours. As they got deeper and deeper into the forest, one of them noticed an opening in the mountain. It was a cave, partially hidden by trees. They climbed in and stayed there for several days, slowly eating the small amount of food they had brought with them. The very next day the three friends saw a bunch of German soldiers in the distance, exchanging clothing with the prisoners. Next, Menachem saw that everyone’s hands were up in the air, and Russian soldiers surrounded all of them, soldiers and prisoners alike. The Russians separated the people dressed in uniforms from those dressed as prisoners. The Russians start marching the soldiers into the forest — but those soldiers really were prisoners. Menachem spoke some Russian that he had picked up from his years in captivity. He realized there was a language barrier separating the Hungarians, the Germans, and the Russians. At great risk to his personal safety, Menachem put his hands up in the air, crawled out of the cave, and walked toward the Russian soldiers. In broken Russian, he explained that the Germans switched clothing with the prisoners. Although it took some time to get his point across, he was successful. The Russians demanded that the Germans and the prisoners exchange clothing again. Once again, the soldiers put on their uniforms and the prisoners their ragged clothes. Then they marched the German soldiers deep into the forest and killed all of them. Menachem got some more food from the Russians, who told him that he and the other prisoners were free to go. Although Menachem felt free, he knew that there still were pockets of resistance. Word that the war was over did not filter to everyone. Menachem walked from the Russian frontier back home to Hungary. He begged for food, knocking on doors and saying in Russian, “I am a refugee. Please help me with some scraps of food, or even a raw potato.” He slept in the streets, or in open fields. But still he held onto the hope that with of G-d’s help he would make it back to Nyirbator. 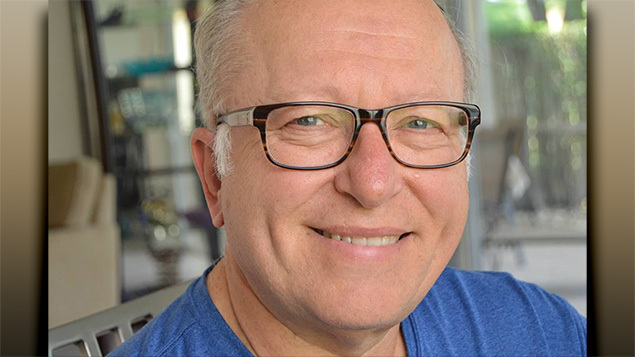 Three and a half months after he started his journey, Menachem arrived in his hometown, only to find that gentiles were living in the house where he, his parents, and his 10 siblings had lived. Not knowing what to do, he wandered around town, looking for his parents and siblings. He came across two friends, and they hugged and kissed each other, with joy and tears. Menachem and his friends spent some time talking about what they had endured, and how they were able to survive and make it back home. One of Menachem’s friends was very upset that all the Jewish homes were occupied by gentiles, who had taken possession of them after the Germans rounded up the Jews and deported them. After careful thought, the three childhood friends come up with a plan. Since Hungary is still in a state of chaos, they thought, let’s raid the old police station, see what we can find, and then go house to house and evict the gentiles. Because it was a small town, they already knew a lot of people and where they use to live, Menachem said. Menachem and his friends broke into the padlocked police station, where they found badges, handcuffs, and — to their amazement — guns. They tried out all the keys to the jail cells, spruced up their appearances, had a nice meal, and made the police station their temporary home. Menachem was happy and thankful to have survived, but he was not in his own home yet, and he had no idea where the rest of his family was. The next morning, the three self-appointed detectives went door to door and politely asked the squatters to vacate the premises. If they declined to leave, the three friends opened their coats to show their weapons. If the squatters insisted on staying in the house they had taken over illegally, they were forcefully handcuffed and whisked away to jail. Word spread around town that a group of detectives were going door to door. Some squatters felt threatened and left before the knock on their door came. Menachem and his friends went only to the homes where at least one family member of the original occupants had survived the war. Their belief was that people were entitled to live in their own homes, in the houses in which they had grown up. The three friends got their homes back, but their parents and siblings had not returned home from the war. Menachem prayed that his parents and siblings would return home every day, using his tefillin. The prayer was comforting. During the day, Menachem and his buddies continued to evict and arrest people in town, but at night he had time to think. He wondered what he would do next, to put some normalcy back in his life. Menachem closed the shades every morning before he prayed with his tefillin, the same tefillin that accompanied him and gave him comfort and hope throughout the war. One day, one of Menachem’s brothers returned from the war, then another came back, and then another. The town and its houses were filling up. After several weeks, four brothers were back home. The other seven siblings and their parents never were seen again. Back at the police station, one day, while Menachem was cleaning his gun, it went off accidently. It nearly killed one of his best friends. Menachem said that this was a message from G-d that he had to pick a real profession. Menachem was a heavy chain smoker; he smoked unfiltered cigarettes. He coughed a lot – so much, in fact, that the local doctor asked him if he wanted to smell the ground from above or from below. The doctor recommended that he find a job out in the fresh air. He also recommended that Menachem stop smoking immediately. A friend suggested that Menachem become an apprentice glassier, which would give him skills as well as the opportunity to work outdoors. Menachem did become an apprentice, and he found that he enjoyed being outside and meeting people. During that time, a young woman broke a glass door in her house. That young woman, Leah Gruenberger, had survived Auschwitz, and so had her sisters and her father. Her family and Menachem’s and known each other before the war. Leah called the local glassier to fix the door, so Menachem showed up at her house on a Friday afternoon, while she was cooking the Shabbos meals. Menachem fixed the door, and told her how wonderful the kitchen smelled. Leah knew that four boys in Menachem’s family had survived, and that they were living on their own in an empty house, without parents, so she invited all the brothers over for a Shabbos meal. Menachem was 32 years old when they married, and Leah was 21. Menachem and Leah had two boys, and life went on as normally as possible. 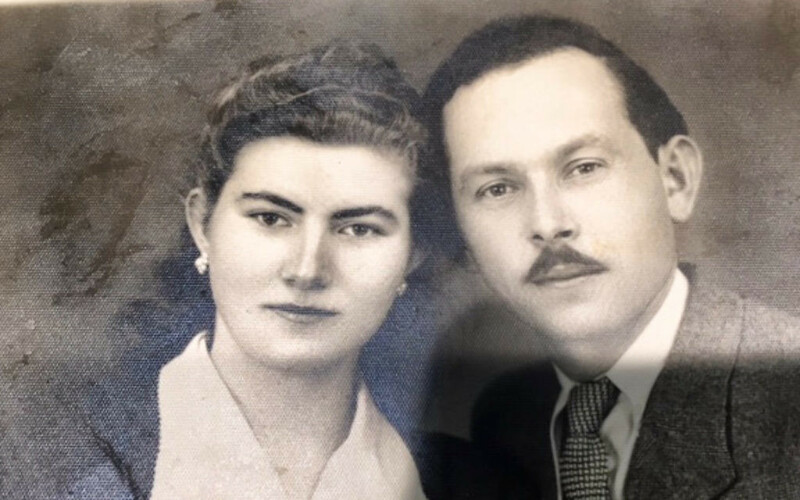 The entire family escaped from Hungary in October 1956. First they went to Vienna, where they got the papers that allowed them to enter the United States in February 1957. You’re probably wondering by now how I came across such an interesting person as Menachem. Well, his story has been a part of my entire life, because Menachem Zev Ben Chaim O”H was none other than my dear beloved father, who I miss and think of every day. He was a man of courage and compassion toward others, regardless of who you were. My father never made a lot of money, but he was always happy with what G-d had provided him and his family. He never envied those who had more, and he always taught us to look at people who have less than we have. If we do, he said, you never will be dissatisfied with what you have. If you ever met my father and spoke with him just for five minutes about anything, you would walk away feeling that you just met a very special person. He made everyone feel important. He was the most genuine and honest person I have ever met. My dad passed away 13 years ago, at the age of 89, but not a day goes by without my thinking of him and his stories, about his life and what he had to endure as a prisoner of war. I often wonder to myself how a human being can go through so much, yet be able to continue with life and raise a family and always have a smile on his face. My mom, who I love dearly, is now 91 years old, and she is a pillar of strength and encouragement for our entire family. This is my father’s story, not my mother’s, but she has her own horror story. In Auschwitz, she made ammunition for Krups (yes, the same company that sells small appliances in Macy’s). She and her two sisters had consecutive numbers tattooed on their arms in Auschwitz; they were there for one and a half years before they were liberated by the American army. The tefillin are in my possession. They remind me daily of who my father was, what he stood for, and how I can strive to be more like him. The journey of the tefillin does not end here. It is my intention to replace the straps on both tefillin, replace the outer shell (called batim) and then, G-d willing, offer them to my grandson Jonah for his bar mitzvah. The tefillin, with all its history, will be passed to the great grandson of Menachem Zev Ben Chaim Srolovits O”H.